A clinical study on the efficacy and safety of follitropin alfa has been conducted. The aim of the study was to confirm the therapeutic equivalence between the follitropin alfa biosimilar (Primapur®) and the reference medication (Gonal-f®) in controlled induction of superovulation within the assisted reproductive technologies (ART) programs. Materials and methods. This multicenter, randomized, blind at the embryological stage, in parallel groups, comparative study of phase III (RCT 754 from 26.10.16/NCT03088137) involved 110 women aged 20-35 years with established causes of infertility (tubal factor, male factor). The patients were randomized into 2 equal groups of 55 participants each. The primary end-point for assessing the therapeutic equivalence was the number of aspirated oocytes. The secondary end-points included the number of fertilized oocytes, the number of days of stimulation, the total dose of the injected drug, the occurrence rate of biochemical and clinical pregnancies. Results. In this study, the follitropin alfa biosimilar was shown to be equivalent to the original follitropin in terms of the number of aspirated oocytes. Also, no statistically significant differences were found in the number of mature and fertilized oocytes, the days of stimulation, the dose of the drug administered during the treatment, and the rate of the onset of biochemical or clinical pregnancy. Conclusion. The therapeutic equivalence between the follitropin alfa containing Primapur® and Gonal-f® has been demonstrated. Aim. Provide evidence for the connection between placental insufficiency and preeclampsia and rationalize a unified approach to the prevention of placenta associated disorders. Materials and methods. The study was carried out in two stages. At the first (clinical statistical) stage, the incidence rates of preeclampsia (PE) and placental insufficiency (PI) were compared based on the data from Rosstat and from a regional perinatal center for the past 25 years; the most informative predictors of PI and PE were compared using the known clinical epidemiological tests. At the second stage, a prospective study of 140 high-risk pregnant patients with severe PI was carried out to confirm and generalize the hypothesis on the common predictors of PI and PE. Two groups of patients were compared: I – 68 women with isolated PI and II – 72 women with PI combined with earlyor late-onset PE. The control group included 30 women with uncomplicated pregnancy. Immunoenzyme assays, immunofluorescence, biochemical analyses, and morphological studies of placenta were used. Results. The incidence rates of PI and PE, both in the communities and in the tertiary care hospital, pointed to their intercorrelation. This similarity of informative values of PI and PE predictors related to the most important operational characteristics of clinical epidemiology indicates the lack of pathognomonic significance of the early predictors and, on the other hand, supports the concept of the common mechanisms of placenta-associated pregnancy complications. In pregnant women with a high risk of PI decompensation, PE developed in 51% of cases (early-onset – 72%, late-onset – 28%); of those, 18% were diagnosed with severe PE, and 33% – with moderate PE. The obtained data confirm that the manifestation of early-onset PE is pathogenetically related to structural and functional disorders of the early fetoplacental complex (FPC), while late-onset PE is associated with FPC changes in the subsequent stages of pregnancy, and with a synergistic effect of extragenital and obstetrical pathology. The proposed predictive model of PE connects the manifestation of PE with the status of the placenta. Conclusion. The knowledge of pathogenetically significant risk factors allows for stratifying pregnant women in order to conduct a common preventive monotherapy of placenta associated disorders. The present approach to the management of high-risk pregnancy is in line with the principles of 4Р-medicine. Aim: to evaluate the efficacy and duration of the therapeutic effect of dequalinium chloride (in comparison with clindamycin) in treatment of vaginal dysbiosis. Materials and methods. A total of 73 fertile-aged women (18-35 years old) with abnormal vaginal microbiota were examined. The patients were randomized into two groups: Group 1 (main) included 37 women receiving dequalinium chloride; Group 2 (control) included 36 women under clindamycin therapy. The efficacy was assessed by analyzing patients’ complaints, by gynecological examinations, pH values of the vaginal fluid, the Amsel criteria, the microscopy results and the polymerase chain reaction (PCR). Results. Before the treatment, the Amsel criteria were positive in 36 patients (97.29%) in the main group and in 31 patients (93.93%) in the control group; all patients showed an increase in the pH values of the vaginal fluid by more than 4.5 units. The state of vaginal microbiocenosis as evaluated with RT-PCR diagnostics (Femoflor 16 analysis) identified a variety of gram-positive and gram-negative bacteria with a marked decrease in the number of Lactobacilli. During the treatment period, there were no complaints of adverse events; pH values were normal in all patients; the Femoflor 16 analysis showed a significant decrease in the amounts of pathogenic microorganisms. As assessed in 1 month after the treatment, the therapeutic effect persisted. Conclusion. The dequalinium chloride has antibacterial effect on bacterial vaginosis. The results of the study showed that dequalinium chloride had the efficacy comparable with that of clindamycin. The current obstetrical protocols and the improved perinatal services have led to a significant decrease in the intrapartum and neonatal mortality; however, the rate of antenatal fetal death remains high. In a search for a mechanism of this abnormality, we conducted a comprehensive morphological study of the placental ultrastructure in women with antenatal fetal death. Aim: to determine the ultrastructural characteristics of the placenta in these women. Materials and methods. We analyzed 60 cases of antenatal fetal death and conducted an electron microscopic study of placental terminal chorionic villi. The placenta samples were fixed in 2.5% glutaraldehyde, then processed in alcohol at increasing concentration and acetone for dehydration, and finally polymerized in araldite resin. Ultrathin sections were obtained using an ultra-microtome and then examined with an electron microscope. Results. In 53 (88.3%) women, antenatal fetal death occurred in the early gestation period and in 7 (11.7%) women – at a period of 38-41 weeks. In the main group, the age of women ranged from 18 years to 42 years, and in the comparison group – from 22 to 37 years. In the main group, 16 (26.6%) women were in the late reproductive period (36 years and older). Among the women with antenatal fetal death, the most common diagnoses were: chronic fetoplacental insufficiency (CFPI) – 23 (39%), fetal development retardation syndrome (FDRS) – 16 (27%), and premature detachment of a normally situated placenta (PDNSP) – 10 (17%). Changes in the syncytiotrophoblast structure were detected in patients of both groups; in these changes, signs of vacuolization and destruction were most common. In women of the main group, sclerotic stroma and infiltration by mononuclears were found, whereas loosening and swelling of the stroma were detected in both groups. Changes in the vascular bed were revealed in 100% of cases with antenatal fetal death and in 40% in comparison group. Conclusion. In antenatal fetal death, the most common causes were: CFPI, FDRS, and PDNSP. In the morphological terms, there were destructive changes in the syncytiotrophoblast, edematous-destructive, sclerotic and necrotic changes in the stromal terminal chorionic villi, vascular changes (hypovascularization, stroma obliteration, stasis and erythrocyte sludging, formation of erythrocyte thrombi in the lumens of blood vessels), dysfunctional changes in endotheliocytes, and inflammatory changes. Generation of reactive oxygen species (ROS) occurs in every human. The condition of oxidative stress develops when the human antioxidant defenses including the enzymes superoxide dismutase, peroxidases etc., and biological antioxidant molecules, are insufficient. Vitamin E is part of the antioxidant family. It plays a key role in neutralizing ROS, and its scope of activity ranges from the inhibition of heme biosynthesis and lipid peroxidation to maintaining the collagen/elastin balance. Vitamin E deficiency may be either primary or secondary; both shift the balance towards the development of oxidative stress, which may affect the normal course of pregnancy. As a result, pregnancy loss or preterm birth may ensue. Moreover, the oxidative stress can have a negative impact on the development of a fetus. In addition, the oxidative stress may play a role in various female reproductive disorders, eventually leading to infertility. In the today’s world, the popular commitment to low-cholesterol and low-fat diets often leads to an increasing number of women with vitamin E deficiency. In order to maintain normal pregnancy, this imbalance requires an adequate correction starting at the stage of preconception care. Most of the negative consequences for the health and development of children born through assisted reproductive technologies are related to health status of their mothers, i.e. infertility, age and the related metabolic, genetic and epigenetic changes affecting the quality of gametes and pregnancy. Improvement of the current techniques of in vitro fertilization, preimplantation genetic diagnosis and other preventive measures will have a favorable effect on the health status of such children. The article presents updated provisions regarding borderline ovarian tumors in women of reproductive age, including the data on epidemiology, risk factors, clinical aspects, diagnosis, treatment, return of the disease, and women’s reproductive potential. Antiphospholipid antibodies (AFA) are a heterogeneous group of autoantibodies produced humans under various pathological conditions; the main one of those is the antiphospholipid syndrome. AFA cause a number of serious complications, such as thrombosis, pathology of pregnancy and childbirth, multisystem damage to organs and tissues. Thrombosis caused by AFA can develop both in the venous and arterial circulation, and are characterized by high mortality and morbidity rates. 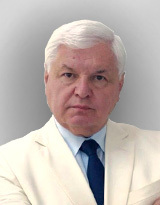 The article reflects the medical and scientific achievements of the outstanding Georgian obstetrician and gynecologist Paliko Jasonovich Kintraya.